Sri Lanka frittered away a strong start to slip to a seven-wicket defeat against England in the rain-affected third one-day international, and Niroshan Dickwella blamed a middle-order failure for it. Dickwella made a brisk 36 off 20 while Sadeera Samarawickrama, his fellow opener, added 35 and Dinesh Chandimal a slower 34, but they got little support from the other batters on Wednesday, 17 October. The hosts got to 150/9 in the 21-over game before England knocked off the runs to take a 2-0 lead in the five-match series. “We got a good start [but] were 20-25 runs short,” said Dickwella after the match. “From 92/2, it was 92/4 suddenly. That was the turning point. “If Thisara (Perera) could have batted for another five overs, we would have ended up with a score closer to 190. According to the wicket-keeper batsman, the reduced number of overs should have worked in Sri Lanka’s favour, because “every batter we have are big hitters”. However, it was not to be. He was harsh on himself as well, ruing his inability to covert starts. “I can't be satisfied with my performance,” he said. “A lot of times I get 30 or 40, but only about one in five games do I get 70 or 80. “Even though I've got starts, I haven't capitalised and turned them into big innings." Scripting the Sri Lankan collapse was Adil Rashid, the leg-spinner, and Tom Curran, the pacer. 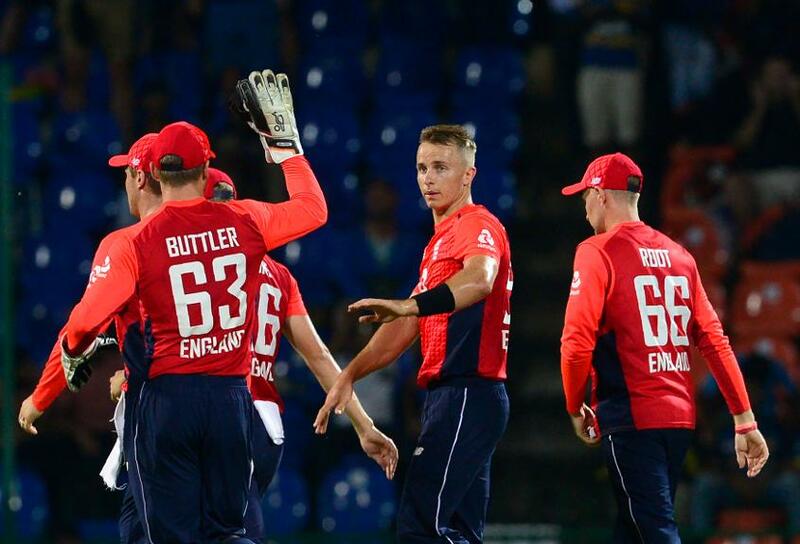 Curran took 3/17 in his first game of the tour, and was keen to stake his claim for a more regular spot in the XI. “There’s such a strong competition for places,” he pointed out. “So when you do get a go, you only get one-two games to impress. He hoped that it would mean a chance for him to play alongside brother Sam, who was integral to England’s win in the Tests against India over the summer. “The dream is to be playing all three formats together – we'll be trying to get close to that," he added.